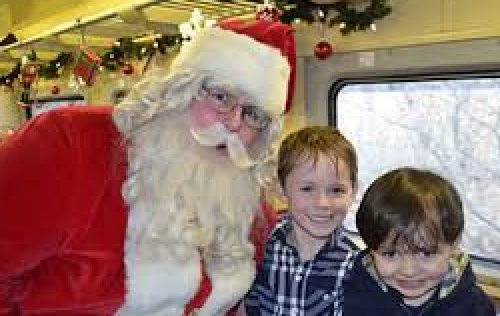 We have received news from the North Pole that Santa will be joining us on our decorated and heated heritage train! This popular train ride is a great family holiday experience! Enjoy on-board entertainment while waiting for Santa’s arrival. The highlight of the ride is a visit from Santa with each child, big and small. Upon leaving the train, each child will also receive a gift bag full of goodies. Create a new family tradition and lasting memories! This popular feature trip sells out quickly. Book early to avoid disappointment. Trains operate Saturdays and Sundays beginning November 24 through to December 16. Each one-hour round trip train ride departs from Uxbridge at 10:00 am, 12:30 pm, 3:00 pm.